✎ Trey Songz’s Top 10 Rules for Success. He did not have aspirations for a musical career as a child due to his shyness. He has sold over 25 million records worldwide. His single, “Heart Attack” was nominated for Best R&B Song at the 2013 Grammy Awards. 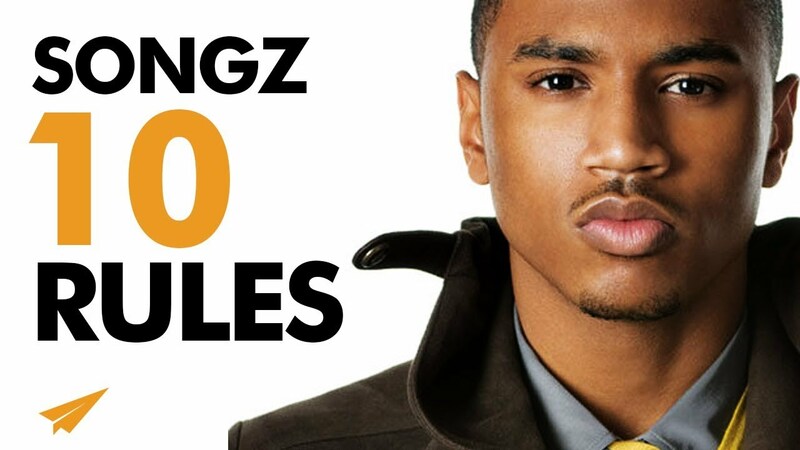 He’s Trey Songz and here is my take on his Top 10 Rules for Success! 1. what will you do to make your presence felt this week? 2. where do you need to work harder? 3. what can you do to believe in yourself daily? ✎ More about Trey Songz. He did not have aspirations for a musical career as a child due to his shyness. He recognized his vocal abilities at the age of 14. After graduating from Petersburg High School in 2003, Songz moved to New Jersey to begin recording his debut album. While recording his debut album in 2004, Songz released multiple mixtapes under the alias Prince of Virginia. His debut album, I Gotta Make It was released on July 26, 2005. It debuted at #20 on the Billboard 200. His follow-up album, Trey Day, spawned his first top 20 single, “Can’t Help but Wait”. His album Ready was nominated for Best Male R&B Vocal Performance at the 2008 Grammy Awards. His sixth studio album, Trigga, had top 40 songs, “Na Na” and “Slow Motion”. He has sold an overall 14 million records worldwide in singles and albums.